In a crunch, Love & Company quickly provided an on-site sales director for us. Not only was she highly skilled in sales, her leadership has helped shape the team for future success. Most importantly, we had immediate sales results! Our relationship with Whitney Center began when its executive team asked us to lead a turn-around of its recently opened independent living expansion. Whitney Center is a 36-year old CCRC in Hamden, Connecticut, near Yale University. Whitney Center’s reputation for exceptional care and diverse resident lifestyle gave it confidence to begin a major expansion, with planning beginning in 2003. Unfortunately, the economic downturn struck as Whitney Center’s upscale expansion was opening in 2008. In the ensuing years, sales stalled at 32%, while census in the existing apartments also fell. 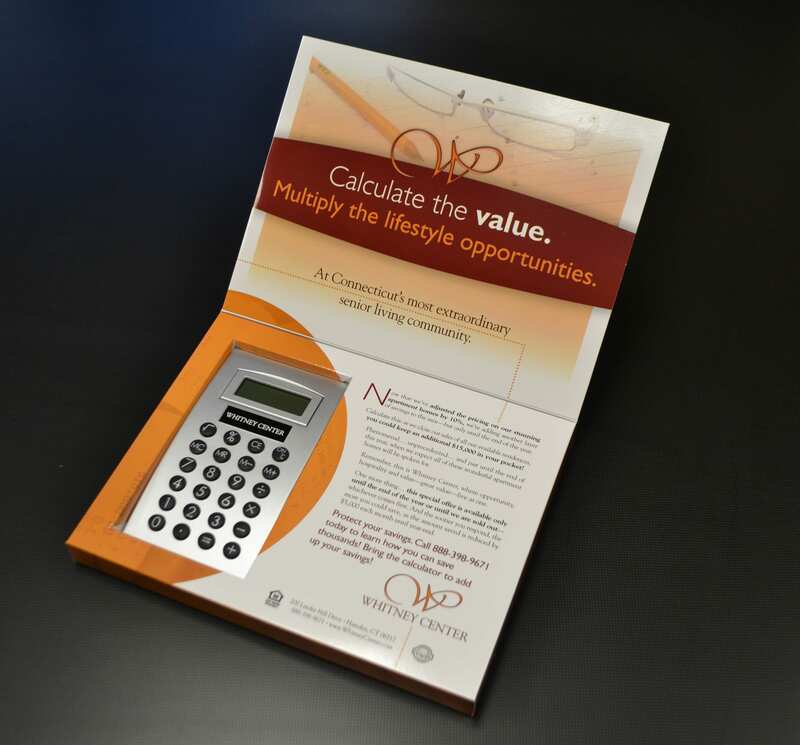 Love & Company began leading Whitney Center’s marketing planning and implementation, as well as providing sales training, a brand refresh and pricing recommendations. Whitney Center’s expansion apartments represented a significantly higher level of finishes, size and cost than its existing residences. So we needed to attract a new, more upscale prospect, while not alienating the less affluent market. 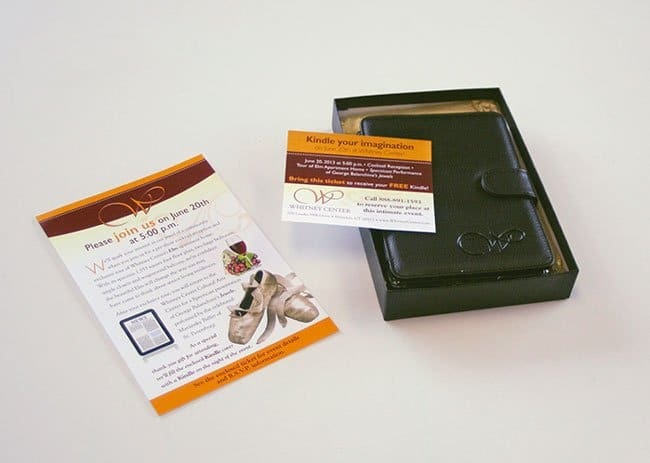 To reach this group, we arranged a special on-site ballet performance this new prospect would enjoy, and crafted an invitation that included a Kindle case, promising to fill the case with a Kindle for those who attended. 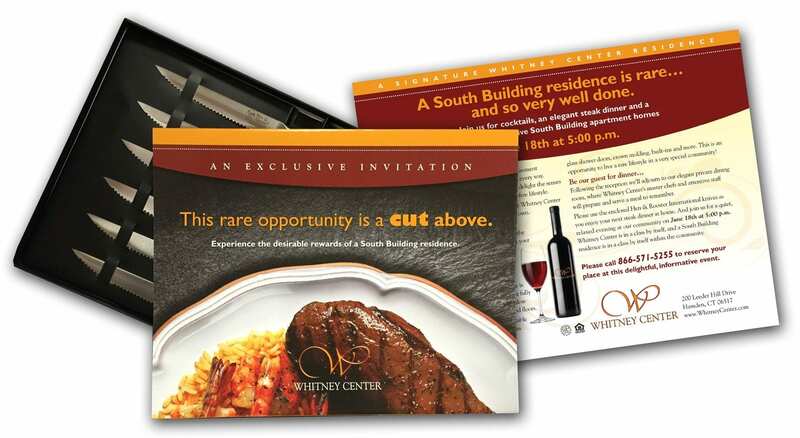 The sales team hand-delivered this highly targeted invitation, and achieved a dramatic 17% response rate. The cost per lead was excellent and the event attendees were qualified. Hyper-targeting can be highly effective when you have a very specific profile of prospect you are trying to reach. 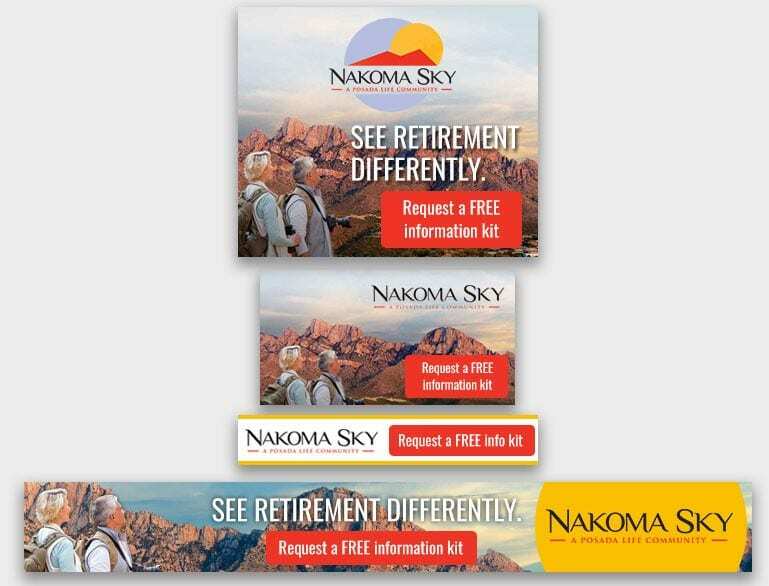 This hand-delivered promotion achieved a remarkable 50% response rate and because so few were produced, and achieved such success, the cost per lead well below many more traditional direct mail approaches. The related event secured three depositors and three members of Whitney Center’s Advantage Club. As we promoted the upscale expansion, we simultaneously had to assure the market that more affordable options remained, and Whitney Center remained an exceptional value. 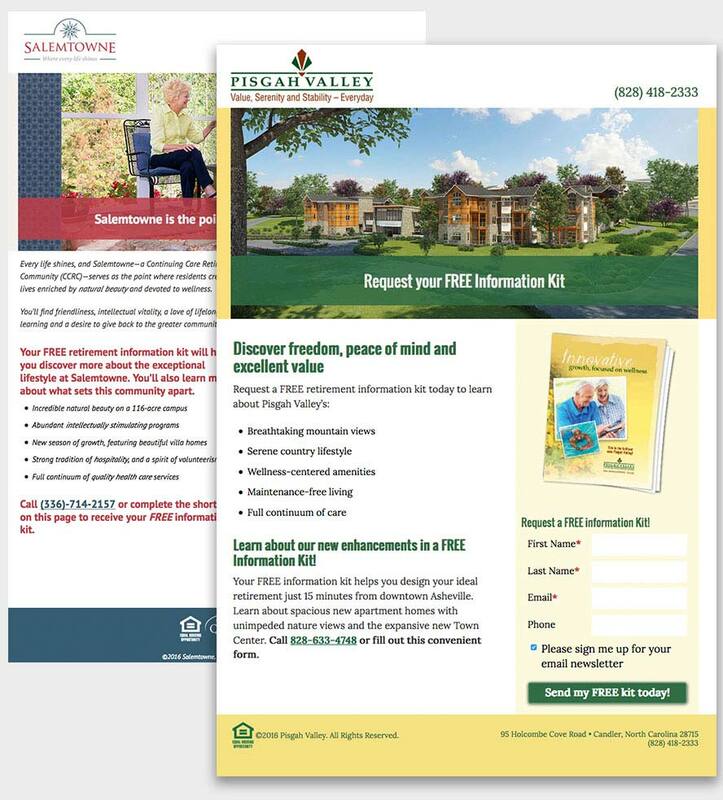 One successful tactic involved working with sales to identify 900 leads likely to have interest in the existing apartments, and mailing a real calculator to them. The sales team employed a rigorous follow up program that led to 16 deposits directly attributable to this direct mail piece. When they hired Love & Company in 2012, Whitney Center needed to turn around census in its newly opened expansion. Over a two-year period, we deployed a three-pronged approach that brought the expansion to its targeted occupancy, while maintaining occupancy in the existing residences.